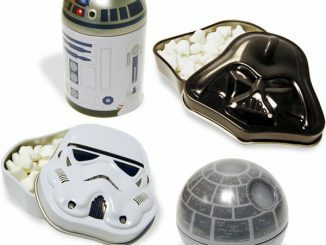 Last month we introduced you to Foosh Energy Mints, and now we thoroughly test them out in this Foosh Energy Mints Review. Stopping for a hot cup of coffee or a cold energy drink can be inconvenient and expensive, but can a mint really provide a significant energy boost? 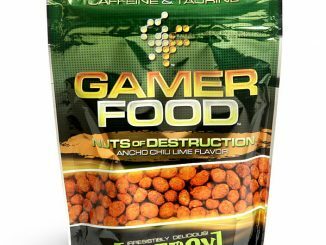 We’ll see how they compare to other Energy Foods and Energy Drinks we’ve presented in the past. 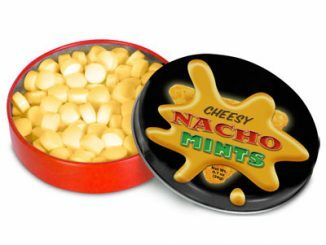 The tagline for Foosh energy mints is “Seriously Caffeinated,” and that isn’t blatant hyperbole. 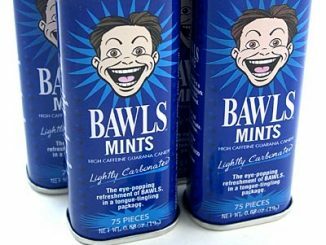 Each mint is packed with 100mg of caffeine, which is 25% more caffeine than a can of Red Bull. That equates to about as much caffeine as from a cup of coffee, 2 cans of Mountain Dew, or 3 cans of Coke. 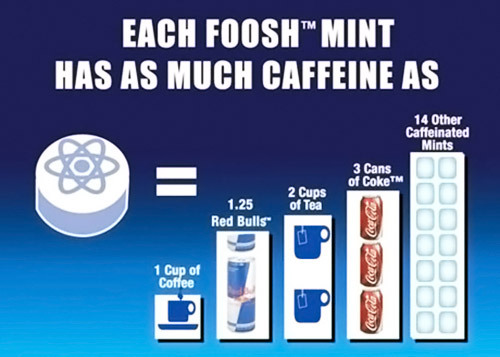 Some popular energy mints have only 7mg or as little as 1mg of caffeine per mint, so Foosh is obvious far stronger than those. 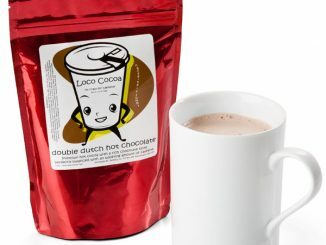 Besides for caffeine it has other ingredients purported to provide energy including B vitamins, ginseng, and taurine. 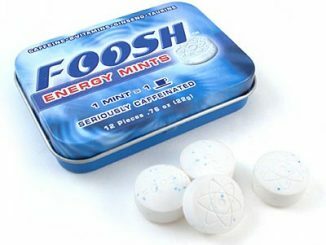 In testing Foosh energy mints, I have no reason at all to doubt the caffeine content. 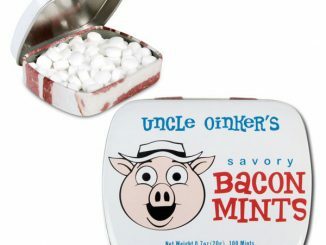 Just one mint delivers a serious hit of energy you can feel, even if you drink coffee, energy drinks, and cola everyday like me. 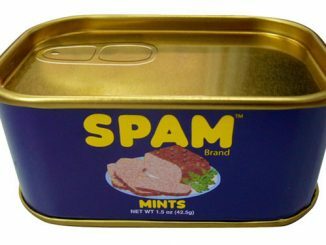 It is really convenient to carry a tin of these with you in your car, desk, backpack, or purse, so you can take a quick energy shot whenever you need one. 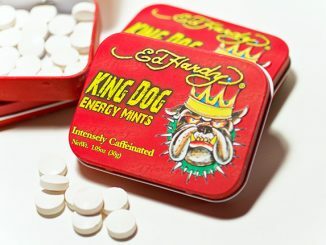 Yet another cool thing about these caffeinated mints: the effect hits you really quickly because the caffeine is absorbed into your blood directly through your mouth. 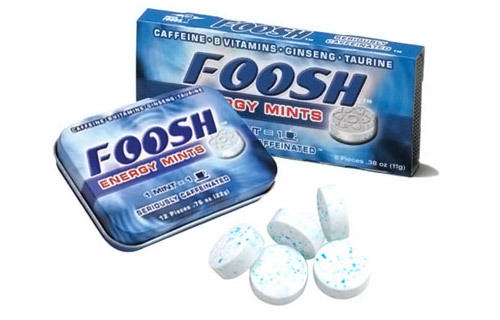 As for the taste, Foosh energy mints have a good, strong peppermint flavor. 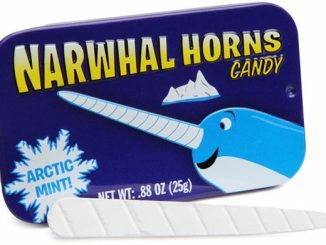 The problem is that as the peppermint flavor fades, there is a lingering aftertaste that isn’t very good. Apparently not everyone notices the aftertaste. But if you were put off by an aftertaste in other caffeinated foods, chances are you will also experience that with Foosh. 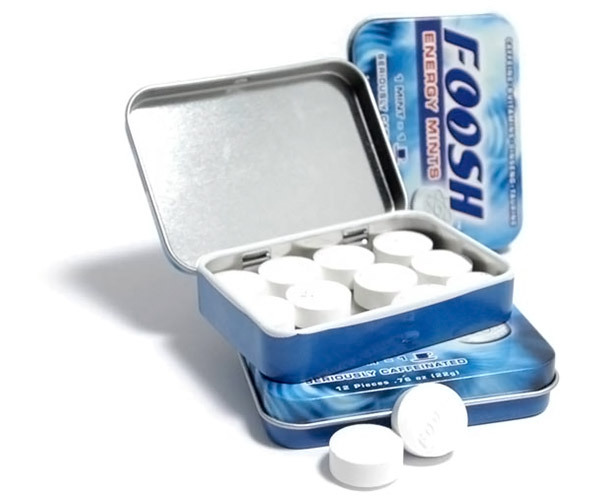 Foosh energy mints are an inexpensive, easy, and convenient way to get your caffeinated energy boost whenever you need it. 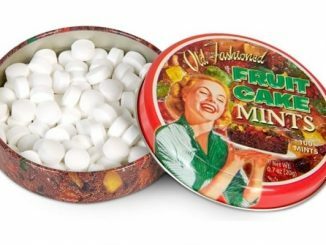 You can purchase the Foosh Energy Mints at Amazon.com for $1.90 a pack (6 count), $3.99 a tin (12 count), or save by buying in bulk.